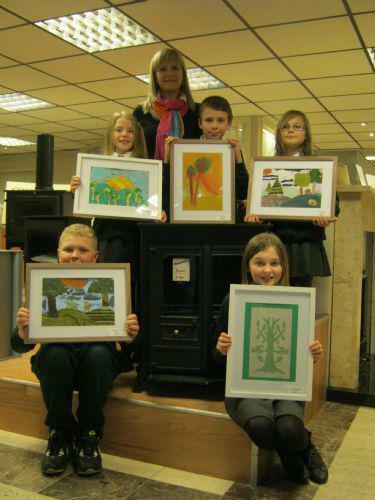 On Thursday 14 March a number of our Art Club members had their artwork put on display at Portadown Fireplaces, Foundry Street, Portadown. Visitors on the opening night of the exhibition commented on the professionalism of the pieces and offers of sale were made! Perhaps we may have a budding Matisse or Picasso in our midst! Many thanks to Silva Urbetiene for organising the exhibition and to Portadown Fireplaces for hosting the event. Visitors are free to view the children's work throughout the Easter period.